Thundercling Episode 7: Matt Samet and Kevin Corrigan — Editors and Writers and Climbers, Oh My! Noted climber, writer, and cat whisperer, Matt Samet. Just another day in the Climbing offices for Kevin Corregan. Matt Samet is a sort of Renaissance Man. 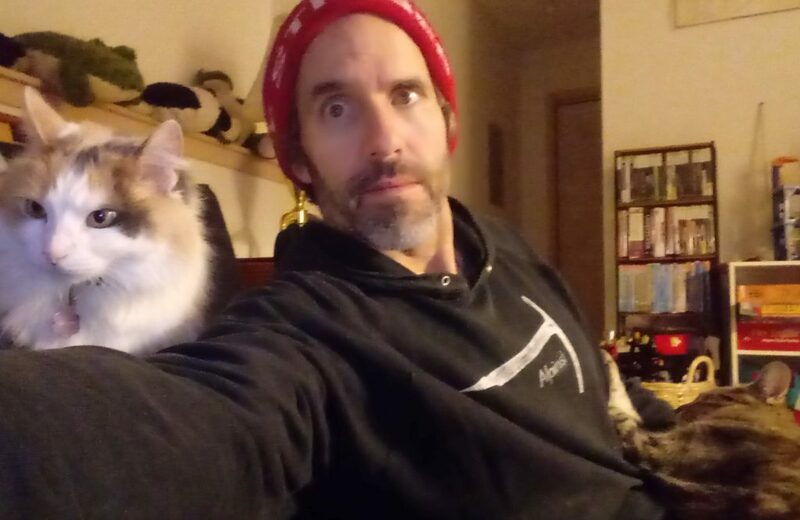 Top shelf climber and first-ascensionist, one of the best writers in the biz, Editor-in-Chief at Climbing Magazine, author, dad and husband, sweat pants aficionado, and cat lover. Seriously. He really likes cats. Kevin Corrigan jumped on board with Climbing Magazine around 2014, as Digital Editor, after sending a cold resume to Boulder while still living and working in New York City. 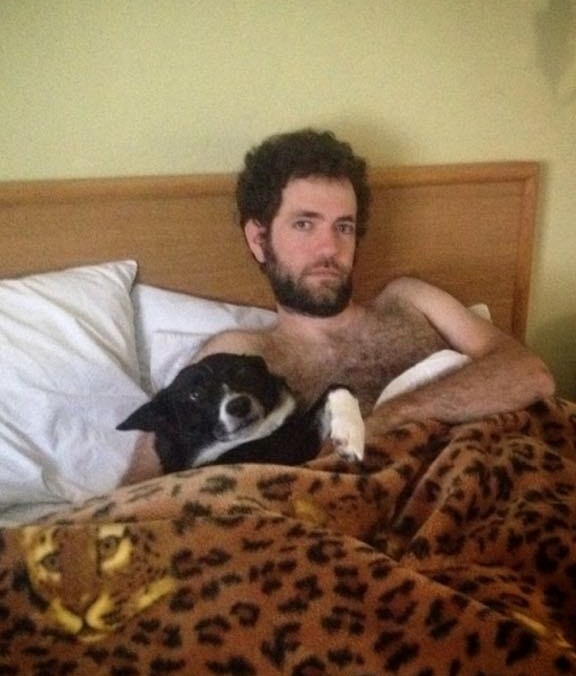 He successfully penned pieces for the Onion and College Humor before discovering climbing and deciding that being dirty, unkempt, and always just a little bit weaker than that other dude at the gym was way better than hustling a living for the sit-com crowd. He’s a masterful comedic mind and a passionate rock scrambler. Fidi and I sat down with these two thoughtful fellas at Matt’s kitchen table, amongst a galaxy of his boys’ toys and a 14-year-old dog, Clyde, who really needed to take a dump. Well, we got the interview. And good boy Clyde took a sizable grumpy in the back yard. Another successful Thundercling conversation! Now, we get into the weeds on this one, diving deep into the publishing industry. Can climbing magazines survive a reshuffling of the media power structure? What is it like to breathe life into each issue, from soup to nuts? What was behind the massive changes Climbing Magazine chugged through over the last decade? And, of course, which of Sharma’s hairstyles spark the most joy in each of us? Have a question, suggestion, or article pitch? Wanna know who would win a slap-fight between Fidi and I? Drop us a line at thunderclingpodcast@gmail.com. Thanks as always to Ryne Doughty for crushing the tunes!